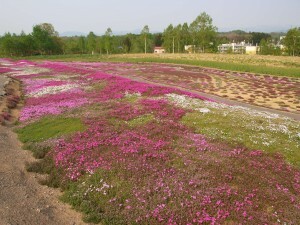 Do you know Mr.Mishima’s garden in Kutchan? 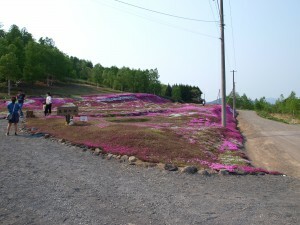 That’s a well-known spot as the moss phlox garden behind Kutchan Train Station from where takes 15 minutes walk. 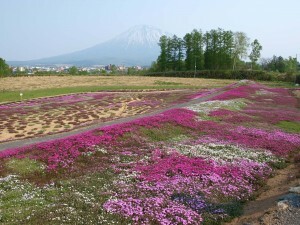 The peak bloom period is in past 7 years as following. 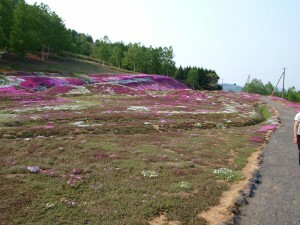 It normally will keep the peak bloom for one week so don’t worry it won’t be finished as soon as possible. And there are not so much car parking space around the garden. So please park at Asahigaoka Car Parking. And please retain the garden is private’s and open to the public by favor of Mr.Mishima. Thank you so much for your consideration!